Intellerati has assembled a list of the top recruitment research firms in the business. Though the firms on the list are technically our competitors, we are offering the list to pay it forward. That’s because Intellerati is a recruitment research firm with a mission. We believe in the power of information to make executive search smarter. We know that one of the first things executive search research buyers need is a reliable list of the leading recruitment research firms. We understand that hiring executives and heads of executive search at leading Fortune 500 companies, venture capital firms, and private equity firms often need executive search support. We understand that many employers would rather NOT go out to retained executive search firms if they don’t have to. That’s where executive search research firms come in. 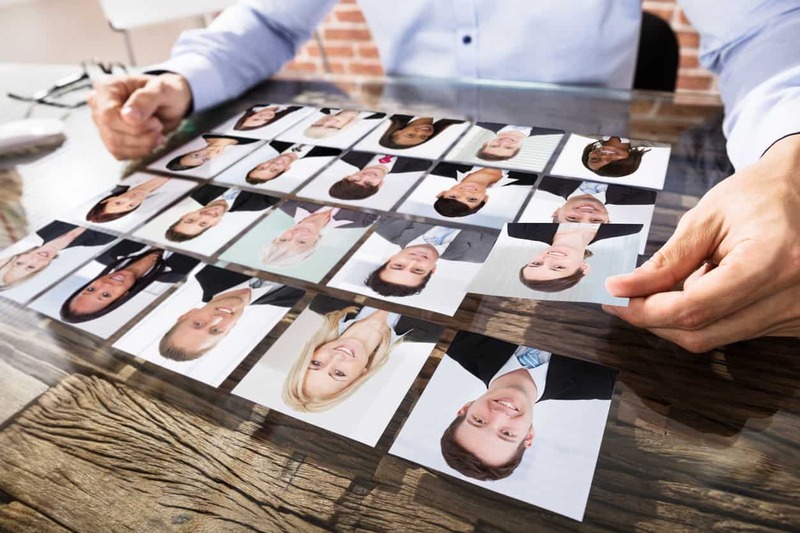 Recruitment research firms offer unbundled executive search services so that executive search research buyers get the amount of support that they need. No more. No less. In fact, retained search firms often turn to recruitment research firms for help completing executive searches. 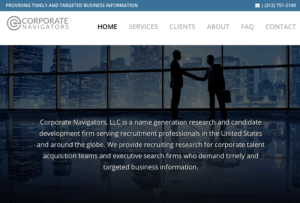 Corporate Navigators is a Chicago-based recruiting research firm that offers recruitment research in the form of candidate identification, candidate development, talent pipelines, and org chart development. While its prices are not listed on its website, the company charges a flat hourly rate for all of its services. ESR is an executive search research firm with offices in Scandinavia (Oslo and Stockholm), the United Kingdom (London), and in the United States (Los Angeles). The firm was founded by Christian Schoyen, who is the author of the book Secrets of Executive Search Experts. The firm strictly focuses on top candidates (passive) not looking for a new job and provides a “short list” of the best talent in three weeks. Execuquest is a boutique recruiting research firm based in Baltimore, Maryland. Helmed by Conni LaDouceur, the firm excels at original phone sourcing research at all levels, all positions, in the U.S. and abroad. As an hourly research provider, the firm is also well-versed in advanced online search and scraping techniques and calls into companies directly. 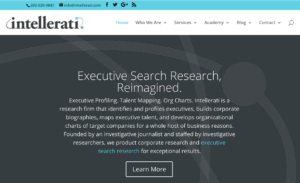 Intellerati is a boutique recruiting research firm based in Westport, Connecticut in the greater New York City area. 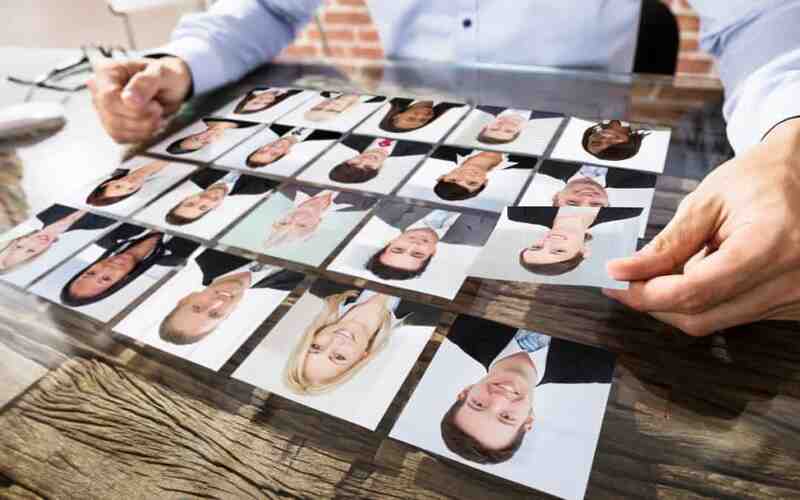 The executive search research firm conducts investigative research that generates a list of ideal candidates. It also offers candidate development services that produce interested, qualified candidates. Additionally, Intellerati offers org chart research of target companies and Talent Intelligence reports to inform executive search strategy. The research is conducted by expert researchers, most of whom come out of investigative journalism. Intellerati’s flat fees are based on the amount of work and level of difficulty of each engagement. Lakeview Research is a boutique recruiting research firm based in Chicago, Illinois, that focuses on identifying, sourcing and developing passive candidates for positions requiring unique job skills and experience. The recruitment research firm covers all industry sectors and functional areas, ranging from start-up to Fortune 500 companies. Qualigence is a recruiting research firm based in Livonia, Michigan, that offers organizational charts. The company describes org charts as “hyper-targeted breakdowns of your competition’s inner-workings, like their top performers, how to reach them, reporting structures, and lines of communication.” Its website says it offers the services at average hourly rates of $105-$110 per hour. Like other offerings, its org charts include name, title, company, and contact information. 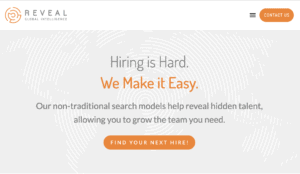 Reveal Global is a recruitment research firm based in Charlotte, North Carolina. 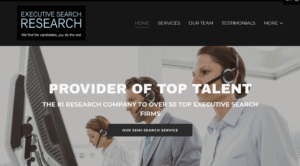 The executive search research firm offers Recruitment Research, Corporate Sourcing, Contract, Recruiting and Sourcing, Sales Intelligence, Consulting, Training, and Performance Coaching among its listed services. It provides its “purpose-driven recruitment” services for both small-to-midsize businesses and large corporations. 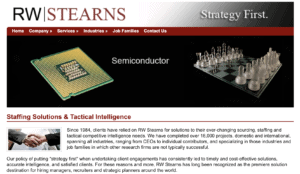 RW Stearns Inc. provides research-based recruiting solutions to companies ranging from emerging startups to those in the Fortune 1000. It lists org charts among its research offerings. The website says the company has completed more than 16,000 projects — domestic and international — spanning all industries, ranging from CEOs to individual contributors. 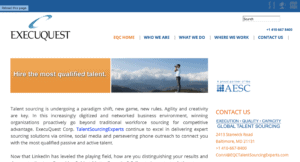 SGA Talent is a recruitment research firm based in Amsterdam, New York. The recruiting research firm creates and crafts talent pools for clients. Its services include Organization Chart and Talent Mapping, Profiling, Succession Planning, and Diversity. The data gathered also provides intelligence used to help clients make informed hiring decisions. Thorn Network is a recruitment research firm based in Dallas, Texas. The company offers a “pursuable pool of outstanding candidates.” The firm provides up-front strategy development, competitor targeting, candidate development, and screening. Thorn does not conduct face-to-face interviews, background checks, or employment negotiations. We hope you enjoyed our Top 10 Recruitment Research Firms list. If you are a recruitment research buyer and know of other recruitment research companies that deserve to be included in the Top 10 list, we welcome your suggestions.